We’re heavy into wedding season, rooftop party season, do-absolutely-everything-humanly-possible-outside season, which means you’ve probably (hopefully) been reaching for your favorite linen suit. If you’ve been sweating it out in wool, now is the perfect time to treat yourself to the fresh feeling of flax. If you tend to associate linen with sunburned dads on vacation or sloppy bros at horse races, you’re seriously limiting yourself. 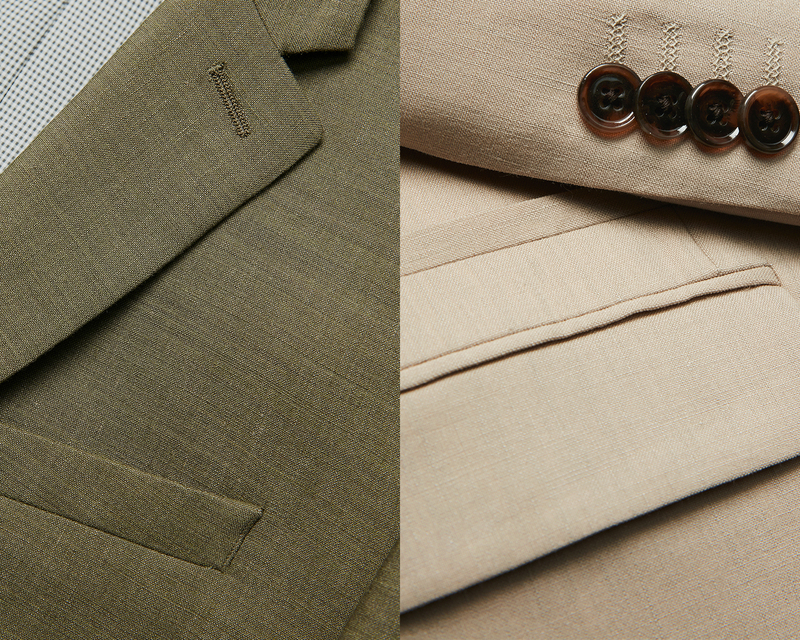 Linen suits can be slim, sober, and sophisticated—with 25% less back sweat than your tropical kit. Here’s why. A mid-weight wool suit is the closest you’ll get to a fabric that works year-round, which means it pretty much always looks good. That said, having at least one traditionally winter suit and one traditionally summer suit to round out your wardrobe is smart move. Cold-weather suiting fabrics include tweed (cozy), corduroy (cozier), or if you’re feeling extra fancy, velvet. During the summer, lightweight fabrics like cotton and chino are your friend. When it’s really steamy, linen saves the day big time—provided you know when and how to wear it. First off: the basics. Linen is spun from the fibers of flax plants, a labor-intensive process that can raise the price of the fabric. But trust us, it is wholly worth it. The fabric is cool to the touch thanks to its higher conductivity (the same reason why metal stays cold) and can absorb and lose moisture rapidly, hence why it’s great for humid conditions. Despite the fact that linen wrinkles easily, it’s also incredibly durable. It’s stronger wet than dry, resists dirt and stains, doesn’t lint or pill, and can be dry-cleaned, machine washed, or steamed. In short, it’s a time-tested gift from nature. No surprise that it dates back thousands of years. In 2018, the Golden Age of sneakers and hoodies, there aren’t too many rules on when to wear a linen suit. Typically, it’s reserved for formal outdoor occasions like weddings and graduations, when heat and the desire to look sharp are at war with one another. But don’t let that box you in. 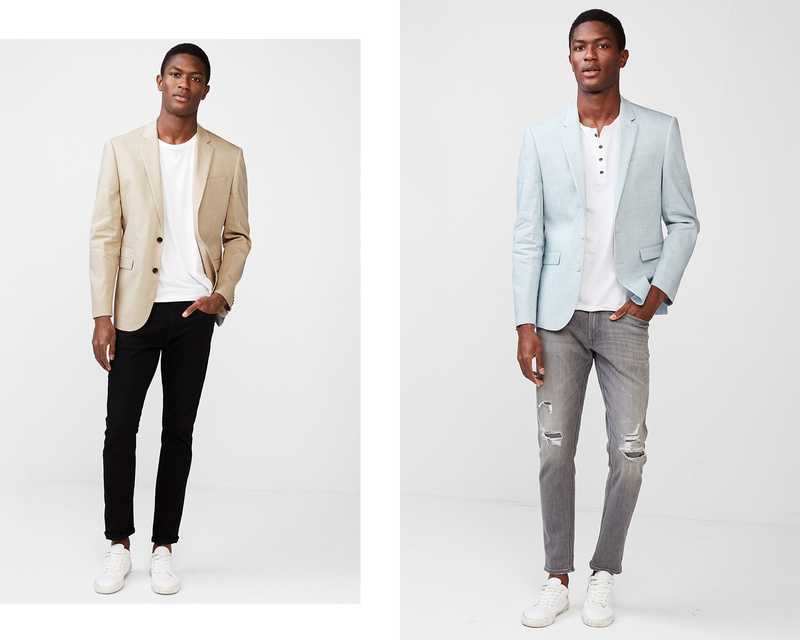 What could be better on Casual Friday than a suit you can wear to an outdoor movie or rooftop bar after work? And who needs chinos and a polo shirt for a power lunch when you can pair it with a henley and jeans or go head-to-toe linen like an Italian style god? The fact that linen has a casual charm makes it, ahem, well suited for today’s equally low-key business culture. Our only request—and this is a biggie—is to really, truly nail the fit. As we mentioned, and as you’ve probably noticed, linen tends to wrinkle and soften with wear, so you need to spend extra Q.T. getting the fit just right from the get-go. A rumpled but ultimately well-fitting linen suit is summer style at its coolest (literally and figuratively), but a baggy linen suit (like that third umbrella cocktail) can make for some regrettable group photos.